Uses: Very versatile and equally tasty fresh or cooked. Use in salads, kebabs with dips, soups and stir-frys or raw in a salad. 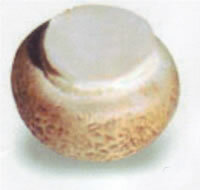 Uses: Can be substituted in any recipe specifying white mushrooms when a more full-body taste is preferred. Great marinated, in salads and kebabs. Uses: Serve whole or sliced, grilled, baked or stuffed. Great on BBQs in stir-fries, sauces or on their own as an entree. 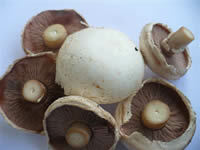 Description: Vary in colour (white/beige) and size but unlike the button mushroom the veil has just begun to open around the stem. They have a firm texture. Flavour: Deeper in flavour than the buttons. Uses: Tops for versatility. Great to sautee, stuff, grill or barbeque. 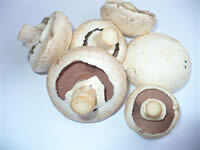 Cup mushrooms can be used whole, quartered or sliced in soups, sauces, casseroles and stir fries. Description: Vary in colour (white/beige) and size but unlike the cup where the veil has just broken the gills are clearly showing. They have a dense, meaty texture. 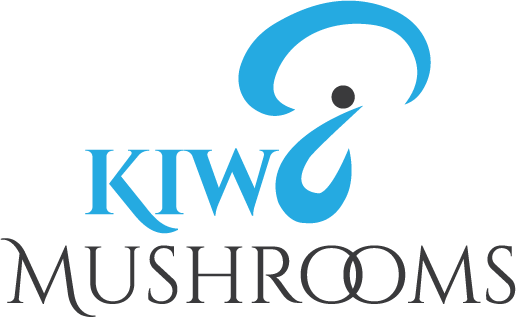 Flavour: Their robust flavour is similar to that of field mushrooms. Uses: Pan-fried with fresh herbs, or top with crispy bacon, tomato and cheese for a grilled mushroom pizza, or use as the patty in a burger.